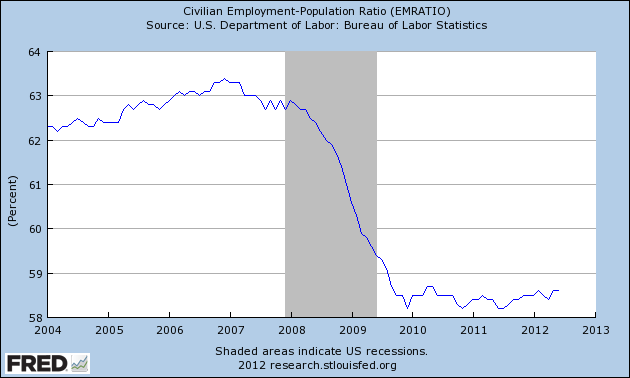 This chart shows the level of employment compared to the total population of eligible workers. That means people between a certain age range and capable of holding down a regular job. 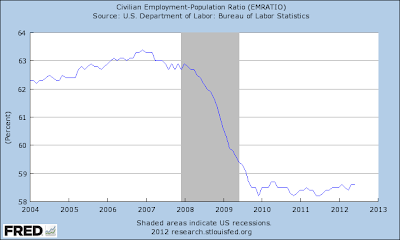 And as you can see, employment pretty well cratered in the financial crash and has been almost unchanged ever since. This is in part why I and others keep calling this a new depression.